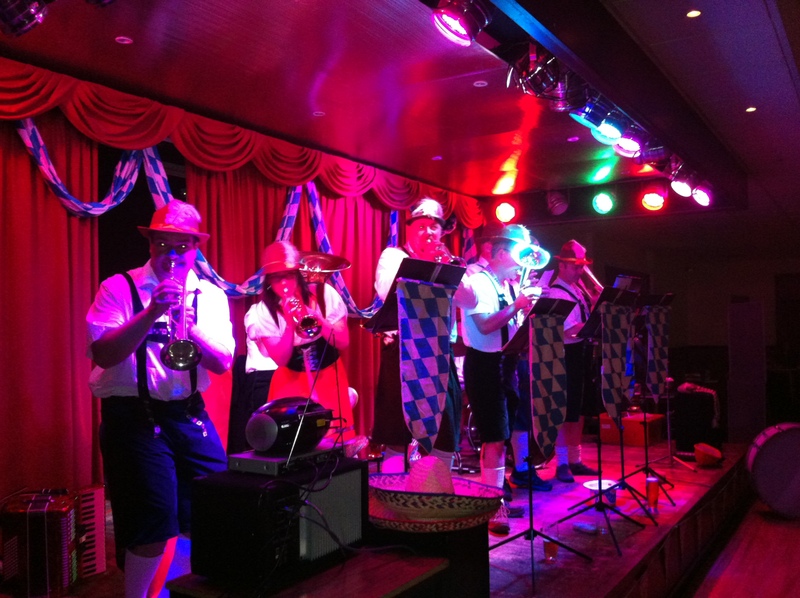 Saturday 29th September saw the Sherbavarian Stompers play a lively mix of German, Spanish, English and American music, at Paulton Rovers Football Club. 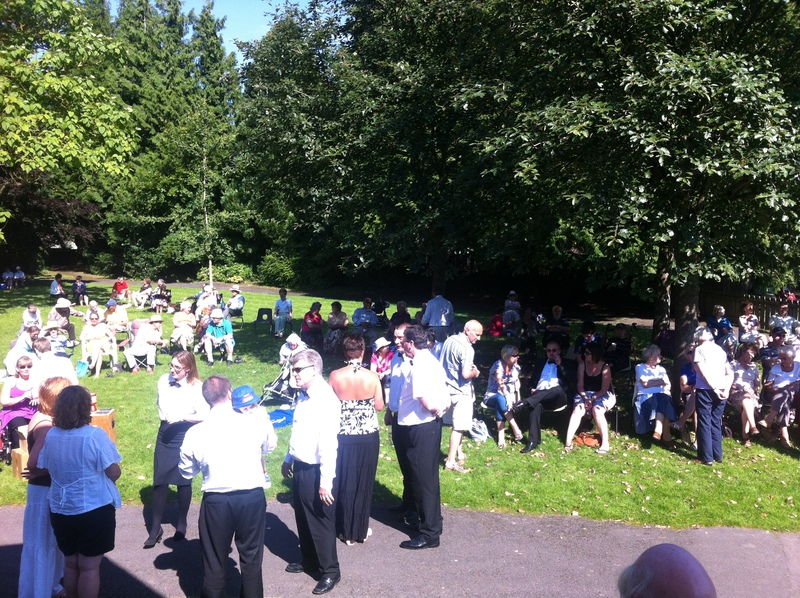 The night was a great success, raising funds for charity alongside the Midsomer Norton and Radstock Lions club. 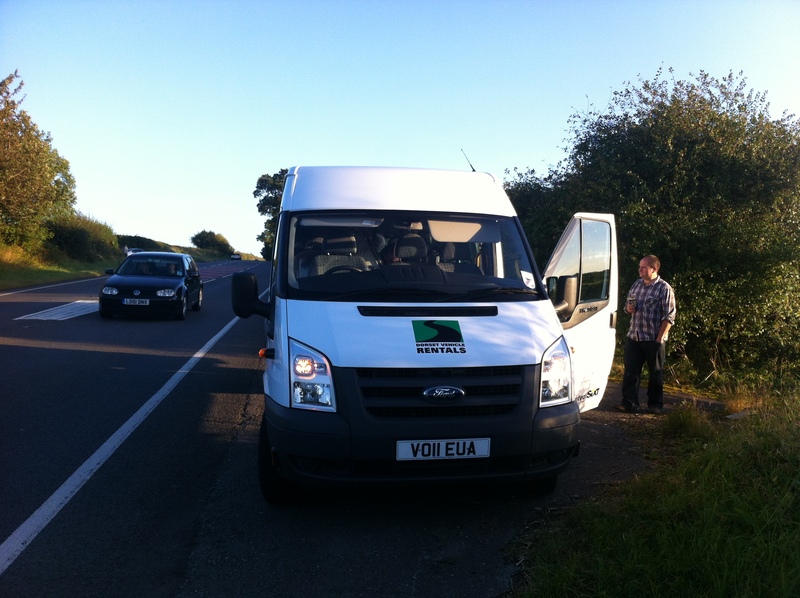 The evening got off to an interesting start, as the band were delayed somewhat on the A37, having run out of Diesel! The band were in good spirits as we waited for the chairman to arrive with some supplies! We were soon on our way and arrive at the club to a big cheer! 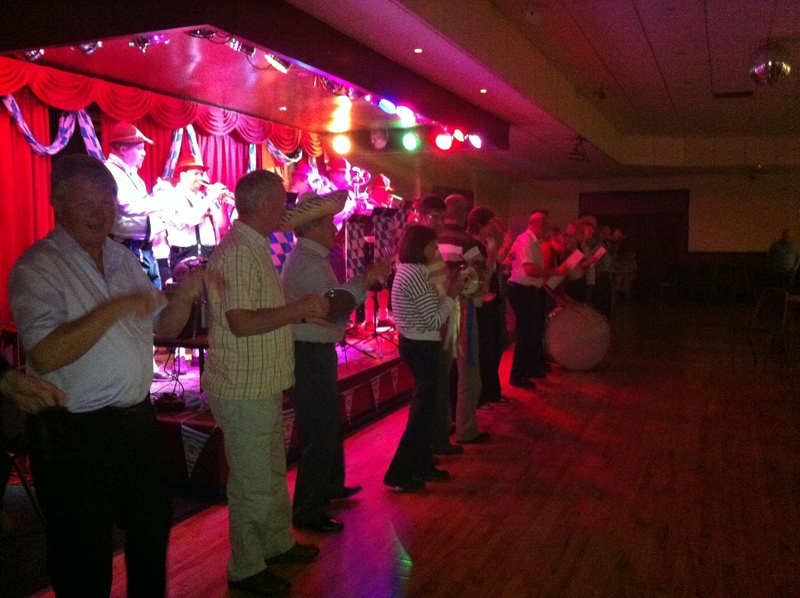 The evening was enjoyed by all, and dancing, singing and much audience participation was initiated! Thanks must go to Barry Rogers for his organisation and help with the event. The band look forward to coming back, next year! 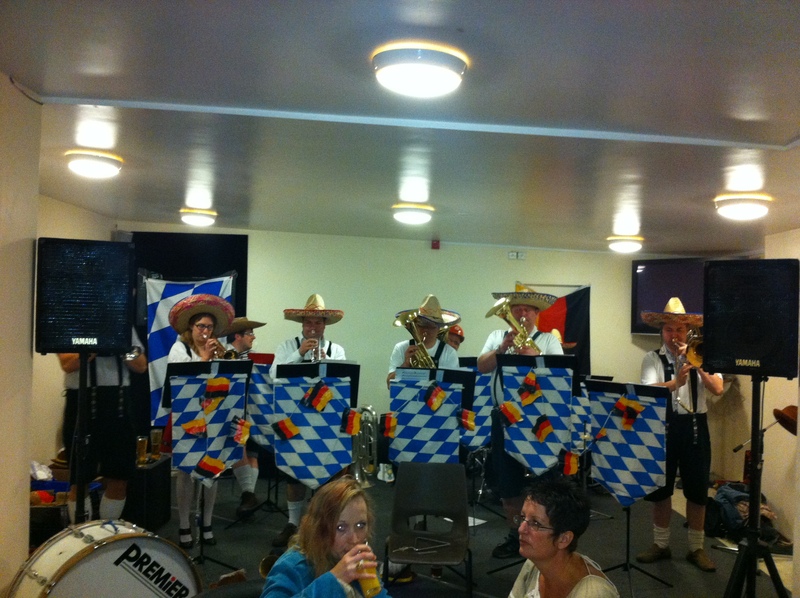 The Sherbavarian Stompers will be performing at Long Sutton Village Hall, Saturday 13th October at 7.30pm. The band were very proud to hear two tracks from the new CD (Jubilee) on Phillip Hunt’s programme, Sounds of Brass, this Sunday (23rd September). Phillip started the show with Death or Glory and Jubilee Overture, from the new CD, “Jubilee”. It was a really exciting moment for all the band to hear the show. To listen to the broadcast, use the link below. I had a very exiting day yesterday, running from place to place in Sherborne town centre putting up posters for the band’s Last Night of The Proms concert. The concert is set to be a true success and the poster (designed by Matt Murphy) reflects this. The concert will be held at the Digby Hall, Saturday 22nd September, 7.30pm. Tickets can be obtained from the website, £7. 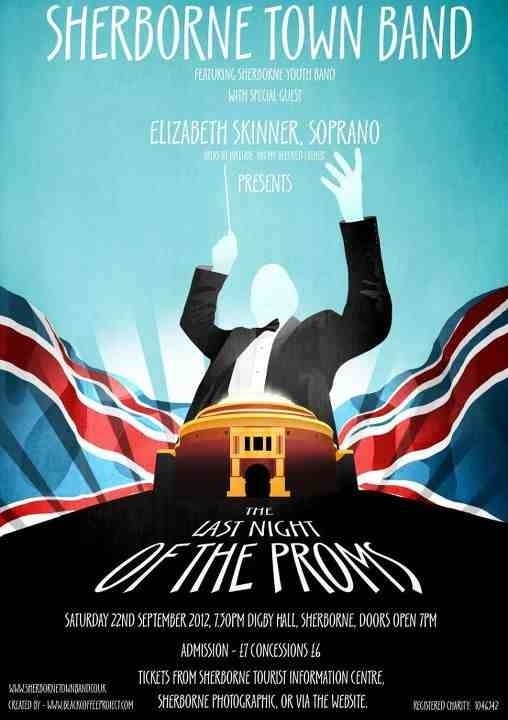 Planning and rehearsal is already under way for the concert and our guest Soprano Elizabeth Skinner will be visiting the band room shortly! Go on-get your ticket now! The new CD – “Jubilee” OUT NOW! It is here! The new CD was released yesterday to the public. Sales went well during the Wells concert and CDs were selling like hot cakes! 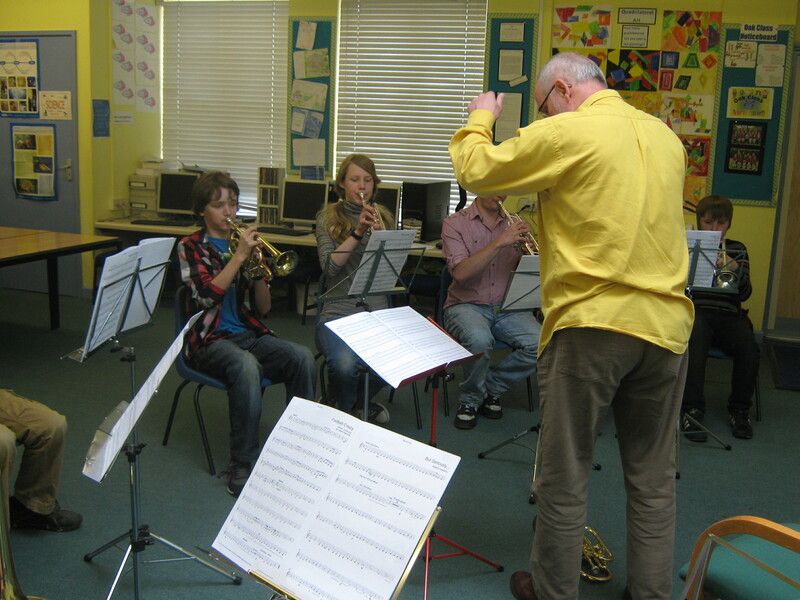 The new CD was recorded at the Band Room, Sherborne, under the baton of Paul Cosh, and was produced by Phillip Littlemore. 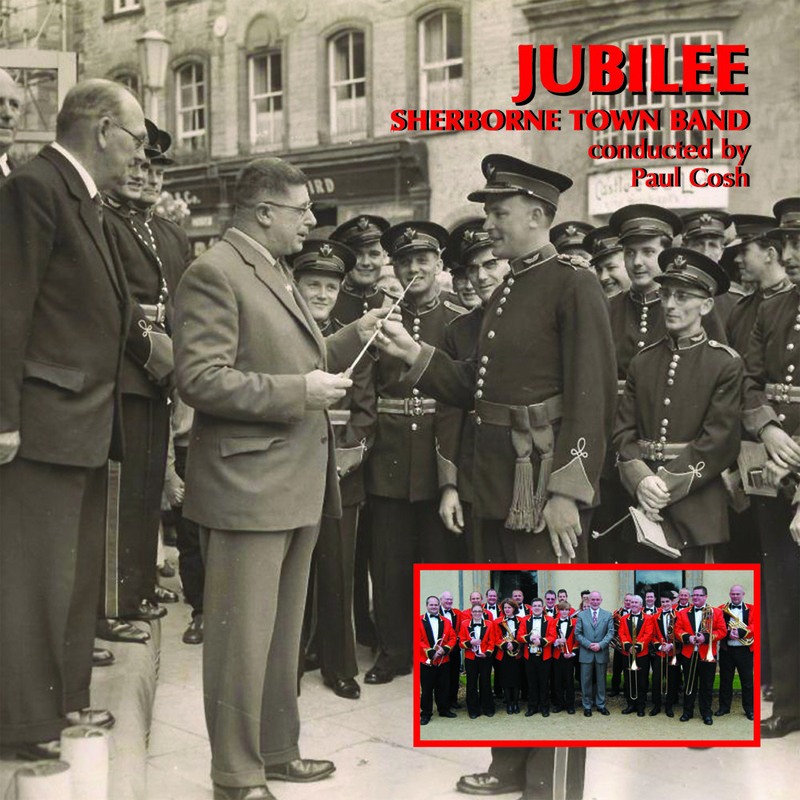 To get your copy now and to find out more, goto the website at: www.sherbornetownband.co.uk. 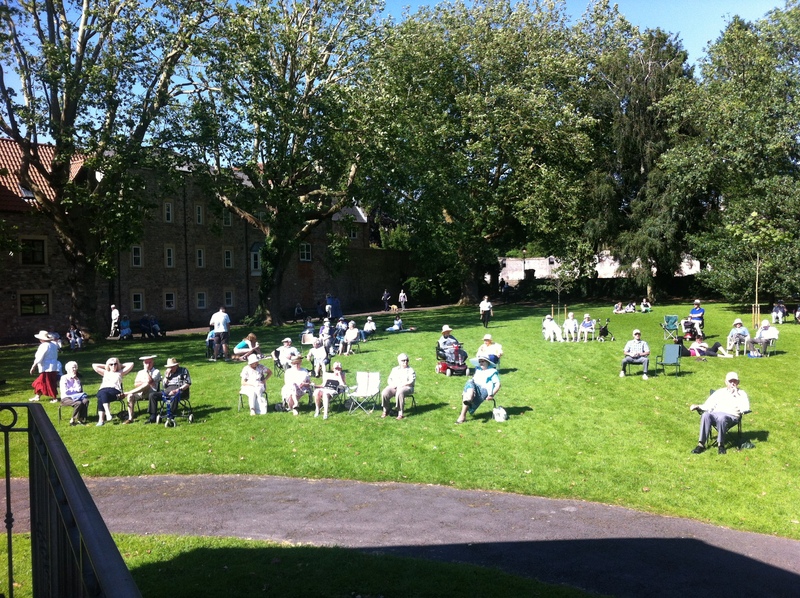 The weather was on our side yesterday at the park in Silver Street, Wells in Somerset. It was a beautiful day and the sun shone throughout the afternoon. Hundreds of people turned out to hear the band, and it was also a great opportunity to show off the music from the new CD – Jubilee! Thanks goes to Wells park for putting on the event, and also to the hard-working staff in the refreshment tent! A lovely afternoon was had by all. A “stomping” night in Yetminster! 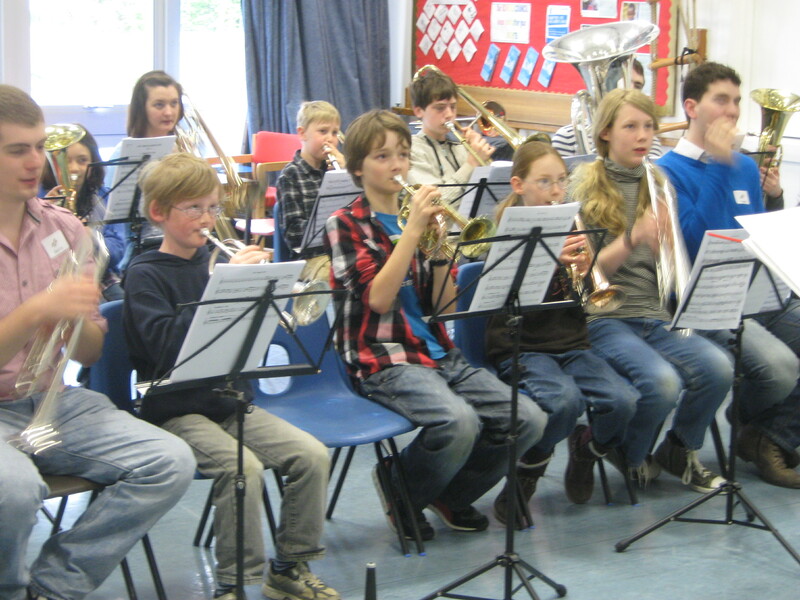 The Sherbavarian Stompers went down a treat, as ever, at their annual Yetminster concert. 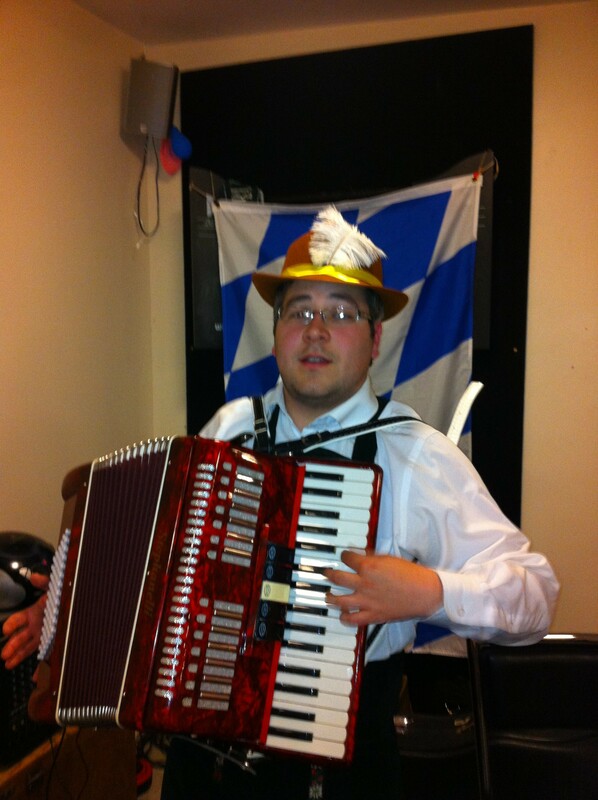 On the eve of Yetminster Fair, after folk had departed from the drizzle and wetness of Yetminster high street, Yetminster Football Club was packed out with a keen audience, ready to participate in music and song, in the true Bavarian style! The evening was a great success and went on, in true style late into the night. Sherborne Town Band would like to thank Yetminster Football Club and the audience who made the night. We look forward to next year! If you would like to book the Sherbavarian Stompers for a party / wedding / Beer festival, please check the main website at www.sherbornetownband.co.uk and click on About Us. Recording of second CD… a preview! The band are delighted to have recorded their second CD, with the help of Phillip Littlemore and of course Musical Director Paul Cosh. It was a hot and sticky few days in the band room, but the outcome will be fantastic. A little preview of the CD is on our YouTube site, with a glimpe of what happened throughout the day also! It was a fantastic day had by all, and we look forward to the final CD being produced sometime over the Summer period, 2012. Keep an eye on the website for purchasing details. Sherborne Town Band, during its 50th year, achieve 3rd place at this year’s West of England Championships (part of the National Brass Band Championships of Great Britain). 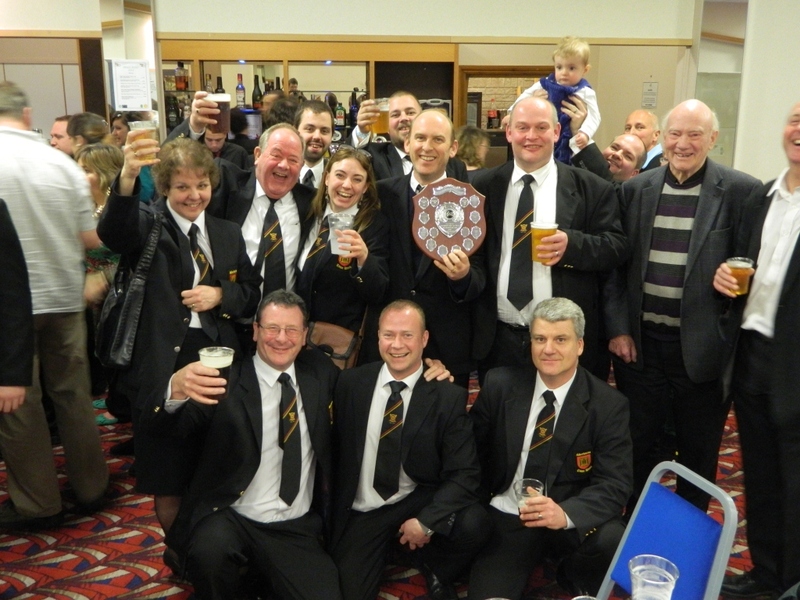 The band – who have recently celebrated their Golden Jubilee – on Sunday 11th March went to Torquay to play in their section at the annual brass band contest. The band played a piece of music called ‘The Devil in the Deep Blue Sea’ by Derek Bourgeois and competed against other brass bands in the South West area, such as Bournemouth, Camborne, Flowers, Woodfalls, St Austell and St. Dennis. The band have been competing in the Championship section (the highest of the brass band sections) for a number of years now, but have not achieved a result as high as this ever before! It was a delight to hear the adjudicators announce that Sherborne Town had won the 3rd prize in the Championship section – the band and its supporters roared and cheered from the audience, almost in shock as they realised what a fantastic achievement the band had made, to achieve their highest ever result. The band had been rehearsing the test-piece for months, under the baton of Music Director Paul Cosh – tiresome and long practice evenings, alongside hard work and commitment from band members have obviously paid off on this occasion, as the Town Band celebrate a much deserved win! Full result and more reports / comments at 4barsrest.com. The 50th Anniversary Concert was a phenomenal success, with the return of many old faces and the band performing an exciting array of music. Among the evening’s entertainment was the Sherborne Youth Band, Seven Deadly Sins Jazz Band, and of course old friends, the Yetties. The evening was sensational, and really captured the banding spirit and community feel that has always been evident within the band. Many photographs and videos were taken, and I am currently in the middle of compiling all of these wonderful moments, so beautifully captured on film. Please visit back in the next couple of weeks to take a look for yourself, but for now you can take a sneak peak, with a short video of Cyril White (first conductor of the band) conducting the march “The Bombardier” on Saturday night. A big thank you must go to all players, supporters, audience members, staff at Sherborne School, band committee members, Paul Cosh (conductor), and many many more people. Please visit back at a later date for pictures and videos, but for now, please take a moment to read some of the comments made regarding Saturday’s big concert. Easter Brass Break – success! I was there for two out of the three days and of course for the finale concert at Cheap Street Church. All the days I was there were superbly organised and I must say the feedback from parents returning for the 2nd and 3rd day was great to hear – it looks like the kids really did enjoy it and get something quite valuable from it – which is good, this is what Paul and Dave intended to do all along. Overall a great succes and next year’s dates are already being looked into! Thanks goes to all members of the band who helped out, and also sponsers, including Terry Bartle, and the Sherborne Lions club. All info and more pictures and videos are on the band website: www.sherbornetownband.co.uk and also at the YouTube pages @ www.youtube.com/sherbornetownband. And don’t forget to keep up-to-date with the band at Twitter. Follow @stbsherborne.